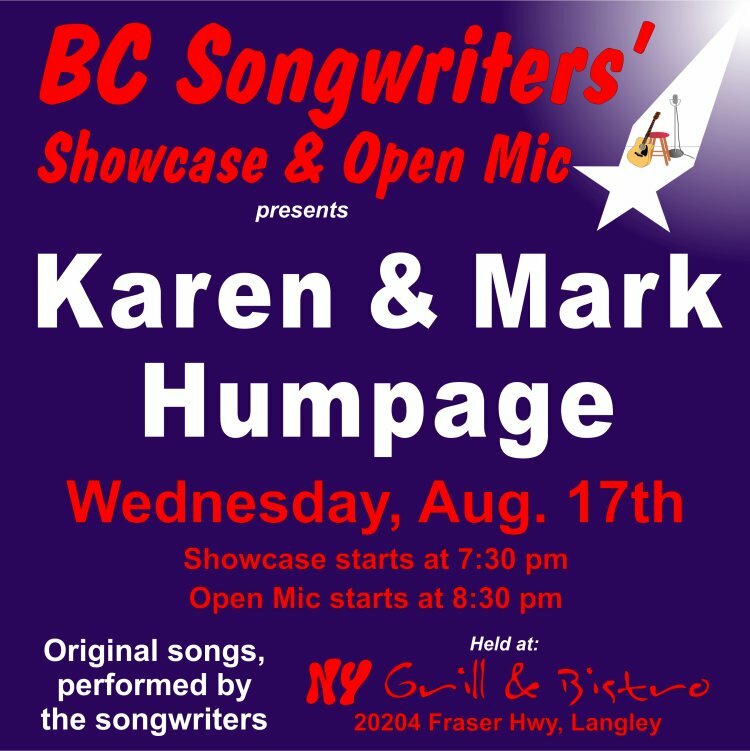 On Wednesday, August 17th, BC Songwriters’ Showcase features Karen & Mark Humpage, starting at 7:30 pm. 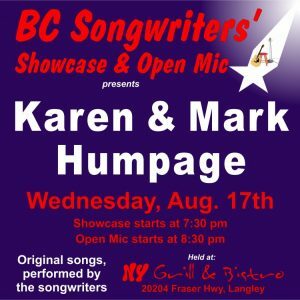 Following the Showcase, is the BC Songwriters’ Open Mic portion of the evening. Sign up early to ensure your opportunity to perform one or two original songs. 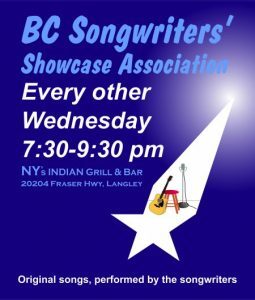 The BC Songwriters hold their Songwriter Showcase & Open Mic performances at NY Grill & Bistro – 20204 Fraser Hwy, Langley.